WikiLeaks has made multiple disclosures over the past decade, including one in March 2017 when the group released what it said were CIA technical documents on a range of spying techniques. But many in the national security community say the leaks were harmful to a broad range of people. 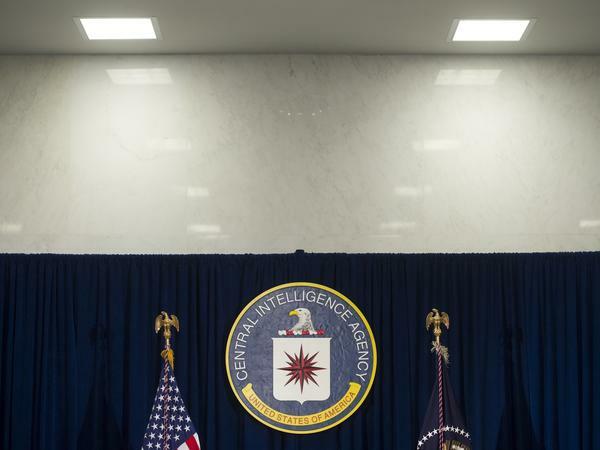 However, they generally say the damage was limited and has faded since the first big WikiLeaks dump in 2010, which included hundreds of thousands of classified documents from the U.S. military and the State Department. Chelsea Manning, a former Army private, spent seven years in prison for leaking the documents to WikiLeaks in 2010. Manning, who was freed two years ago, was taken back into custody last month when she refused to testify before a grand jury in a case involving WikiLeaks and Assange. P.J. Crowley, the State Department spokesman when the WikiLeaks story erupted in 2010, said those most at risk were civilians in Afghanistan and Iraq who were secretly passing information to the U.S. military. "A number of people went into hiding, a number of people had to move, particularly those civilians in war zones who had told U.S. soldiers about movements of the Taliban and al-Qaida," he said. "No doubt some of those people were harmed when their identities were compromised." This revealed ways that a state-of-the art television could serve as a listening device even when it was turned off. Larry Pfeiffer, the CIA chief of staff from 2006 to 2009, said these kinds of breaches can impose long-term costs, though they can be difficult to quantify. "It informs the potential enemies of a technique we use, that they can now develop countermeasures against," Pfeiffer said. This also forces the spy agency to go back to the drawing board, he added. "Once invalidated, it now creates situations where the U.S. intelligence community is going to have to expend resources and going to have to spend both dollars and people to develop new methods," said Pfeiffer, who now heads the Michael V. Hayden Center for Intelligence at George Mason University. On the diplomatic front, WikiLeaks shared many examples of U.S. diplomats writing in unflattering terms about foreign leaders, causing the U.S. embarrassment. But more importantly, said Scott Anderson, a former State Department lawyer who served in Iraq in 2012 and 2013, some of these countries have vulnerable opposition leaders and human rights activists who were quietly in contact with U.S. diplomats. These private, sensitive discussions suddenly became public with the WikiLeaks dumps. "That can really chill the ability of those American personnel to build those sorts of relationships and have frank conversations with their contacts," said Anderson, now at the Brookings Institution. Anderson notes that the U.S. still has a program to issue visas to Afghans and Iraqis to the U.S. in return for the help they provided — and in recognition of the danger they face. Crowley pointed to the impact of leaks that upset former Libyan leader Moammar Gadhafi. "We had an ambassador in Libya, and we had to remove him from his post because he was directly threatened by Moammar Gadhafi's thugs," Crowley said. Some countries, Crowley added, took a much more relaxed approach to the disclosures, even when they were criticized in the documents. "One foreign minister told the U.S. secretary of state, 'You know, don't worry about it. You should see what we report about you,' " Crowley recalled. Many of the assessments today are similar to the one offered nine years ago by Bob Gates, who served as defense secretary when the WikiLeaks disclosures took place. "The fact is, governments deal with the United States because it's in their interest. Not because they like us, not because they trust us and not because they believe we can keep secrets," Gates said. "Is this embarrassing? Yes. Is it awkward? Yes. Consequences for U.S. foreign policy? I think fairly modest."